Find out what's new at the Gate . . .
Astra's Star Gate is an interface for the web surfer to the world of astronomy, space exploration, telescope making, women astronomers and other topics of interest to amateur astronomers and related subjects. The Observer's page is for beginners and amateurs to negotiate today's world of events, equipment, and over all astro-know-how. The Starfleet page explores the world of Star Trek. Find out what's up in the night sky, by checking Astra's Almanac or click the giant questionmark. Use your mouse or finger on the navigation graphics above to see where the gate takes you - - astronomy, women astronomers, or ancient astronomers. Astra's Stargate has been online over 20 years! ASTRONOMY !!! - Major subpages pages are listed below. 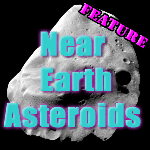 Other topical pages include Near-Earth Objects, Mars, Educator's Pages and Internet astronomy offerings. The UN-official O.T.A.A. web site - Find out what's up in the world of Northeastern Ohio Amateur Astronomy clubs. Major events are listed here and links to club web pages. APERTURE FEVER - Bigger is Better, Right? - The world of amateur telescope making can be reached through this page. Check out Astra's Mars page, Three Faces of Mars - Get to a telescope and observe our exciting neighbor! Mars Oppositions - Information on Oppositions of Mars. Astra's Young Astronomer's Page - Astronomy page geared to kids, have fun while learning! Astra's Aug 2017 Eclipse Guide! - Total Solar Eclipse! What's Up? - Astra's monthly almanac reveals what can be seen in the sky every month. Please read our Copyright Statement before using any images or text from this website.